2 BEDROOMS | 1.75 BATHROOM | 1030 SQ. FT.
Top floor view condo in immaculate building! 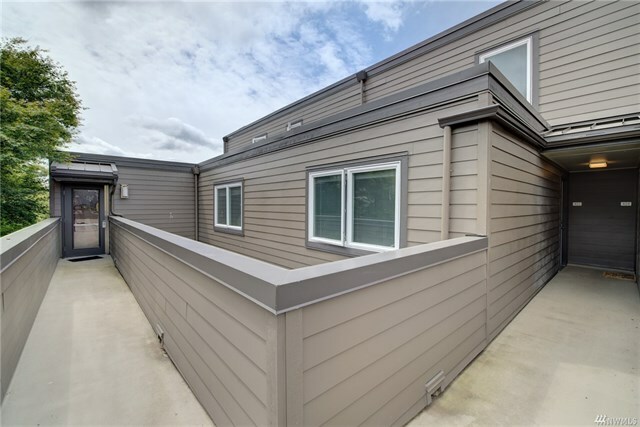 High ceilings and wall of west-facing windows captures loads of natural light and the sweeping Interbay view. Nicely appointed 2 bedroom loft-style home with 1.75 baths! Bedroom and bath on the main floor with lofted master suite upstairs. Kitchen has maple cabinets with casual counter bar and nice dining space. Living room has a wood burning fireplace and slider doors to a view deck. In unit washer/dryer with plenty of storage and carport parking. Pets are welcome!